While presenting the Union Budget 2017-18, Union Minister of Finance Arun Jaitley announced an allocation of Rs 5,473 crore for the Ministry of New and Renewable Energy, signifying an increase of 8.7 per cent year-on-year besides various sops for the sector. During his speech, which incorporated the Railway Budget as well, Jaitley announced a push for solar energy in the railways. “It is proposed to feed about 7,000 stations with solar power in the medium term. A beginning has already been made in 300 stations. Works will be taken up for 2,000 railway stations as part of 1000 MW solar mission,” he said in his budget speech. The government also plans to take up the second phase of solar park development for an additional 20,000 MW capacity, he said. The budget proposed tax cuts to boost the solar industry. 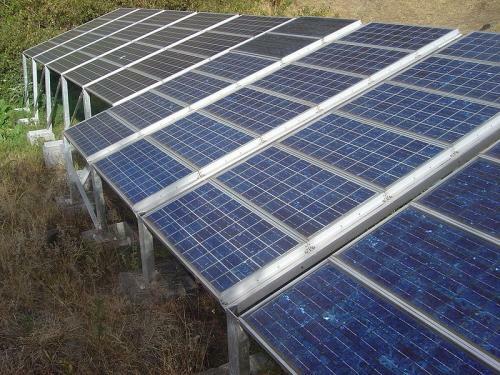 India relies on imports for solar panel components. The budget announced removal of customs duty from the existing 5 per cent on solar tempered glass for use in the manufacture of solar cells, panels and modules. The counter veiling duty on parts or raw materials used in solar tempered glass which is used in various solar power equipment, has been reduced to 6 per cent from 12.5 per cent. The budget announced removal of counter-veiling duty of 12.5 per cent and special addition duty of 4 per cent on resin and catalyst used in cast components for wind operated energy generators. The customs duty on the same has also been reduced to 5 per cent from 7.5 per cent.